House of Representatives on Wednesday called on the Inspector-General of Police, Mr. Solomon Arase, to suspend the planned introduction of stun guns till such a time when the state of insecurity in the country would have abated reasonably. The lower chamber also urged the Nigeria Police Force to regularly train and retrain its personnel on The post Insecurity: Suspend planned introduction of stun guns, Reps tell IGP appeared first on Nigerian News on the go from Nigerian Pilot Newspaper. …Demands Jonathan, Fayose’s Apology As Nigerians continue to jubilate over the gradual rescue of the abducted Chibok girls, a Civil Society Organization, Africa Arise for Change Network has express optimism that the military will rescue more of the Chibok Girls from their Boko Haram captors in the days ahead. The group also demanded an apology The post Chibok Girls Rescue: CSO expresses optimism of more rescue appeared first on Nigerian News on the go from Nigerian Pilot Newspaper. Minister of Environment, Mrs. Amina Mohammed has said that as Nigeria strives to green economy, there is the need to begin to reduce environmental degradation, pollution, and the effects of climate change. The Minister disclosed this to Journalists when she rang the Trade closing Bell at the Nigerian stock exchange in Lagos, recently. 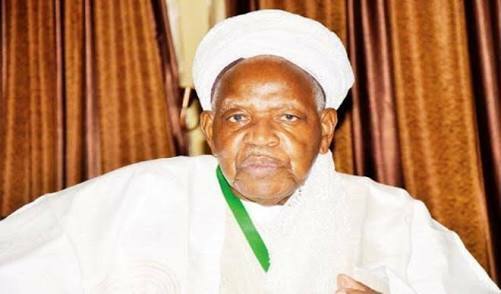 Mohammed was The post Minister harps on reduction of environmental degradation, pollution appeared first on Nigerian News on the go from Nigerian Pilot Newspaper. The Nigeria Labour Congress and its Civil Society Organisations and its supporters has receive knocks from the Coalition of Civil Society Organizations Against Corrupt Persons in Nigeria over their failed protest against the increase in the price of petrol saying they are out of tune with the thinking of Nigerians. In a statement signed by The post Failed NLC strike proof of division in it’s leadership, says group appeared first on Nigerian News on the go from Nigerian Pilot Newspaper. Federal High Court in Abuja was told that the weapons found in the Asokoro residence of the former National Security Adviser, NSA, Colonel Sambo Dasuki (rtd) barely 48 hours after he left office in 2015, belong to the Office of the National Security Adviser, ONSA. The weapons were said to be for the use of The post Dasuki says weapons found in his house belong to NSA office appeared first on Nigerian News on the go from Nigerian Pilot Newspaper. House of Representatives on Thursday said it had not received the new version of the Petroleum Industry Bill, PIB. Nigerian Pilot recalls that recently, the Senate president, Senator Bukola Saraki hinted that a different version of the PIB, which was put together by both chambers of the National Assembly, was almost ready and would be The post Weâ€™ve not received new version of PIB â€“ Reps appeared first on Nigerian News on the go from Nigerian Pilot Newspaper. Rivers State House of Assembly has approved a request by the state governor, Nyesom Wike, seeking to access ten billion naira (N10bn) from the federal government bailout funds. The governor, through a letter captioned: â€œNotification of Intention to Apply for Bailout Funds from the Federal Governmentâ€, explained that the money will be used to pay The post Rivers Assembly approves N10bn bailout fund for Wike appeared first on Nigerian News on the go from Nigerian Pilot Newspaper. Corps Marshal of the Federal Road Safety Corps, FRSC, Boboye Oyeyemi, has ordered a 6 day monitoring and surveillance exercise on tyres nationwide. According to the Head Media Relations and Strategy, Bisi Kazeem, the exercise which will commence on Monday May 23, was borne out of the Corps Marshalâ€™s wish to stem the tide of The post FRSC boss orders 6-day monitoring of tyres nationwide appeared first on Nigerian News on the go from Nigerian Pilot Newspaper. United Nations Childrenâ€™s Emergency Fund, UNICEF, says about 60 percent of children, representing six in 10 children, suffer one or more types of violence before they reach the age of 18 in Nigeria. The international agency in a statement on Thursday also commended the Bayelsa State government for the domestication of the National Childâ€™s Right The post 60% children suffer violence in Nigeria â€“ UNICEF appeared first on Nigerian News on the go from Nigerian Pilot Newspaper. Sokoto State Governor, Aminu Waziri Tambuwal has sworn in Justice Bello Abbas, as acting chief judge for the state, following the voluntary retirement of Justice Aisha Dahiru, who has been the chief judge since 1997. Administering oath of office at Government House, the governor described Abbas as competent for the job, and that the new The post Tambuwal swears in Sokoto acting Chief Judge appeared first on Nigerian News on the go from Nigerian Pilot Newspaper. Nation of Biafra or Biafraland is beyond the areas occupied by the Igbo-speaking people of Biafra. It spans from Itsekiri land on the western boundary with Oduduwa to Bakassi on the eastern boundary with the Cameroons. Pro-Biafra group, Indigenous People of Biafra, IPOB, stated this yesterday stressing that it is not only the Igbo-speaking people The post Biafra spreads from Itsekiriland to Bakassi â€“ IPOB appeared first on Nigerian News on the go from Nigerian Pilot Newspaper. Peoples Democratic Party, PDP, in Akwa Ibom State has said that the ruling All Progressives Congress, APC, has failed Nigerians by making life unbearable for the people. 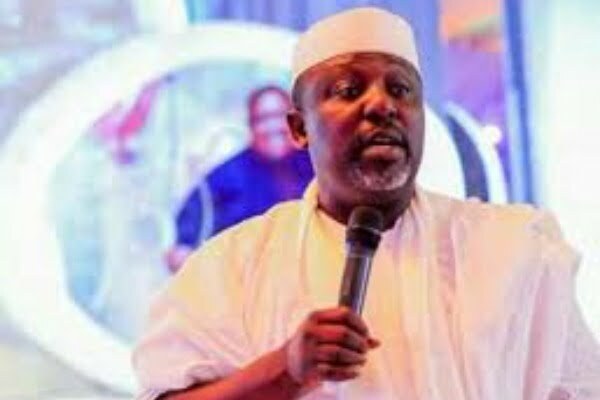 A statement from its publicity secretary, Mr Ini Ememobong, obtained by Nigerian Pilot in Uyo yesterday, said this was evident by the widespread resentment and anger from Nigerians The post APC has failed Nigerians â€“ PDP appeared first on Nigerian News on the go from Nigerian Pilot Newspaper. Nigerian Governors Forum, NGF, is turning to the World Bank for a $3.25 billion grant to sail through the current economic crisis in the country. The governors met with World Bank officials in Abuja on Wednesday and Thursday to understand how the funds could be accessed. This was after Nasir el-Rufai, governor of Kaduna State, The post Economic hardship:Govs run to World Bank for $3.25bn grant appeared first on Nigerian News on the go from Nigerian Pilot Newspaper. Recently, officials from the presidency led by the vice president, Prof Yemi Osinbajo have been touring some states organizing what they described as town hall meetings where they interact with selected audience on the activities of the government. The meetings also accord the government an opportunity to get feedback from the handpicked audience but the The post Between town hall meetings and 2014 Confab report appeared first on Nigerian News on the go from Nigerian Pilot Newspaper. Mrs. Aisha Muhammadu Buhari, wife of President Muhammadu Buhari, has stressed the need for women to step up to higher calling of leadership in the government and the private sector. The First Lady gave the charge as the All Progressives Congress, APC, organised a one-day Summit on Entrepreneurship and Leadership for South-East Women at the The post Aisha Buhari urges women to aspire for leadership positions appeared first on Nigerian News on the go from Nigerian Pilot Newspaper. Former Manchester Untied boss has been weighing in on the old Messi vs Ronaldo debate at an event with golfer Rory McIlroy They may have been usurped from the top of the La Liga scoring charts, but the Cristiano Ronaldo vs Lionel Messi debate continues to rage. And now former Manchester United manager Sir Alex The post Messi, Ronaldo not on same level – Ferguson appeared first on Nigerian News on the go from Nigerian Pilot Newspaper.